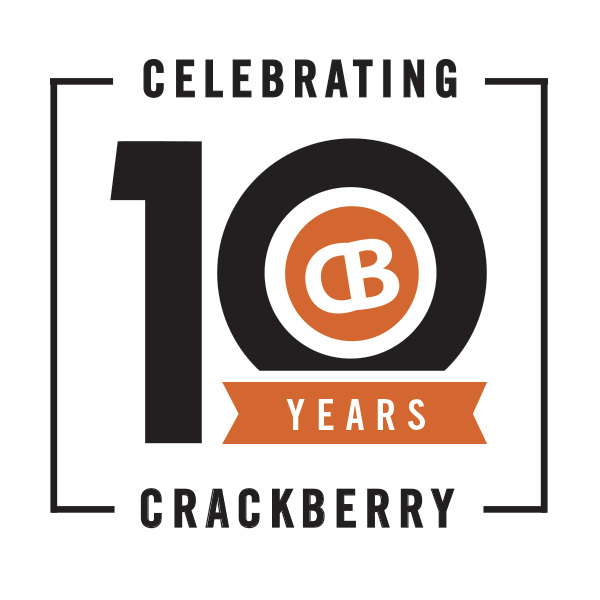 The Good 'Ole Days of CrackBerry Are Coming Back for our 10th Anniversary! Get ready… CrackBerry Kevin is coming out of retirement to celebrate TEN Years of CrackBerry and the launch of the BlackBerry Mercury!! It's gonna get c-r-a-z-y in here! For those of you who have been paying close attention to CrackBerry in all the various places it exists (see 1, 2, 3, 4, 5), this message won't come as a surprise. If you haven't been paying as close of attention -- no worries -- it's time to read up! And trust me, you'll want to. Things are about to get CRAZY FUN around here. For those of you newer to the CrackBerry community, allow me to shed a little light on the situation. My name is Kevin Michaluk, AKA CrackBerry Kevin, and ten years ago along with a couple of close friends and colleagues, we launched CrackBerry.com (read the original Crack Team story here). While it was June 2006 when we originally had the idea to build CrackBerry and purchased the domain name, it wasn't until February 26th, 2007 that we officially declared CrackBerry.com open for business! TEN YEARS is a HUGE milestone, and I want to make sure we celebrate 10 Years of CrackBerry this February in true CrackBerry fashion. To me, and to the many of you that weighed with ideas on how we should celebrate, that means bringing back the same crazy energy we had in our early years, both here on the "blogs" and within the CrackBerry and broader BlackBerry Community. Expect crazy giveaways, crazy podcasts, crazy videos, crazy confessions (untold stories of the years gone by), stories highlighting our amazing community members, and way, way, WAY more. What makes this anniversary feel all the more special is that it's lining up with BlackBerry Mobile's official unveiling of the BlackBerry 'Mercury' which will take place at Mobile World Congress in Barcelona on February 25th. It feels like fate! Nothing speaks to the good 'ole days of CrackBerry more than the excitement and coverage in the lead up to a new BlackBerry. 'Mercury' is definitely a BlackBerry worth getting excited for and CrackBerry Kevin is coming out of retirement to cover the living hell out of it. Nothing speaks to the good 'ole days of CrackBerry more than the excitement and coverage in the lead up to a new BlackBerry, and 'Mercury' is a BlackBerry worth getting excited for! Earlier this year in Las Vegas at CES I had a chance to play with the new BlackBerry 'Mercury', and I tell you, picking it up it brought back the same warm and fuzzy feelings I used to get when I would first put my twitching thumbs on the keyboards of new BB's like the BlackBerry Curve or BlackBerry Bold for the first time. Mercury very much feels like a throwback device, aimed at BlackBerry fans past and present. I think it's a phone worth getting really excited for. I even think it's a phone that a lot of former BlackBerry fans may find their way to as well. There's a nostalgia factor to it that I just love. So beyond all of our CrackBerry loyals that have been visiting the site daily through the years, it's time to start spreading the word and bringing more of our old friends who moved away from BlackBerry back to visiting CrackBerry again (I'm sure a few of you out there are going to be CBK detractors initially, and that's OK. CrackBerry has always been my baby, and I've got enough BlackBerry love and enthusiasm for us all). On that note, it's important to highlight that as much as we kickstarted CrackBerry and created a home for BlackBerry's fan base a decade ago, it would be nothing without that passionate community supporting it all these years. I want to make sure this is a ten-year celebration you will all enjoy for the next ten years. In my active years on CrackBerry, I always considered myself a representative for the community and took that role seriously, even as I got to do a lot of cool things that occasionally put myself personally in the limelight. There would never have been a CrackBerry Kevin without the CrackBerry Community (heck, it was a community member who nicknamed me!). So with that, get ready to celebrate TEN YEARS OF CRACKBERRY. The fun kicks off tomorrow, and it's going to continue ALL MONTH LONG. Be sure to follow CrackBerry and CrackBerry Kevin everywhere and start spreading the word… the good 'ole days of BlackBerry are BACK! Don't miss out on the 10th-anniversary fun. Follow @crackberrykevin & @crackberry everywhere!